Beginning Tuesday, January 2, 2018, IB SPORTS will televise Raw live at 10 a.m. every Tuesday (replay Saturdays 10 p.m.) and SmackDown live at 10 a.m. Wednesdays (replay Sundays 10 p.m.) with additional airings of one-hour versions of Raw and SmackDown throughout the week. 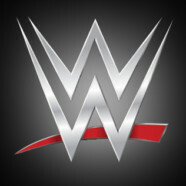 Fans can also watch all of WWE’s monthly special events live on IB SPORTS, including WrestleMania®, SummerSlam®, Survivor Series® and Royal Rumble®. All programs will be available with Korean voiceover commentary and on IB SPORTS’ TV Everywhere platform for authenticated subscribers, and on its 14-day VOD catchup window. Additionally, IB SPORTS will broadcast previous seasons of Total Divas® and WWE highlight shows AfterBurn® and BottomLine®.